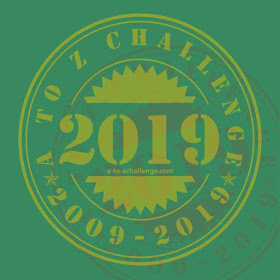 And with this Z post, my 2016 A to Z challenge is done. So much fun, so much work, sign me up for next year! Which is what we’ll be doing by the end of today, the third birthday celebration this week. Today is youngest son’s birthday (the little cutie on the left) and the last in April for us. When he was about this age, he’d always ask me why his birthday had to be last… I told him it was kind of his choice. Had he waited until his May due date, he could have had the whole month to himself! Those are little casts on his legs in the picture because he had just had a heel cord release to help him walk more easily. He has cerebral palsy and has had several surgeries over the years. And while he was at the hospital, volunteers brought puppies and kittens to visit. Youngest was sure it was part of the package and asked if the dog was his, could he keep it? The poor volunteer! So, of course hubby went over to the Humane Society the next day and that’s how we got our first dog, Rusty. Now that he’s grown up, youngest son wants to go shopping and pick out CDs and DVDs or tee shirts that he wants, so we will do that today. And even now that he’s older, we try to make sure not to run out of steam too soon so we can celebrate the last April birthday as much as the first! Your friends at Suburban Gastroenterology, Ltd. wish you a very happy birthday. We hope that you have a wonderful day and look forward to seeing you again soon.